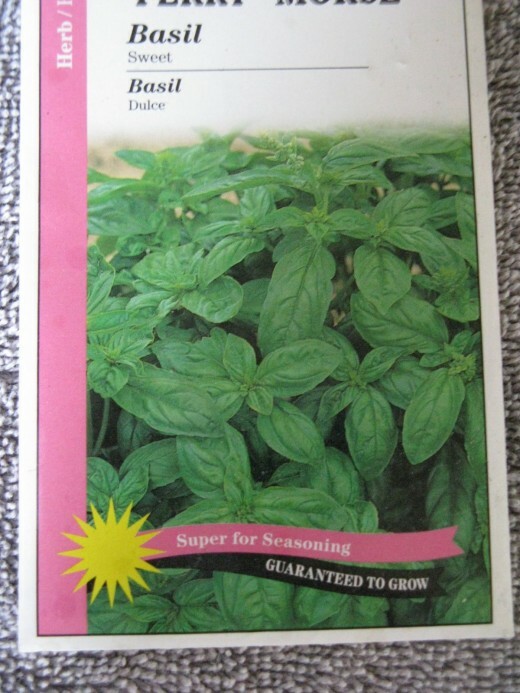 Growing herbs from seeds is fun and easy. All you need are: a good source of light, the right containers, dirt, oh and of course water. Give them what they need and herbs will grow like crazy. 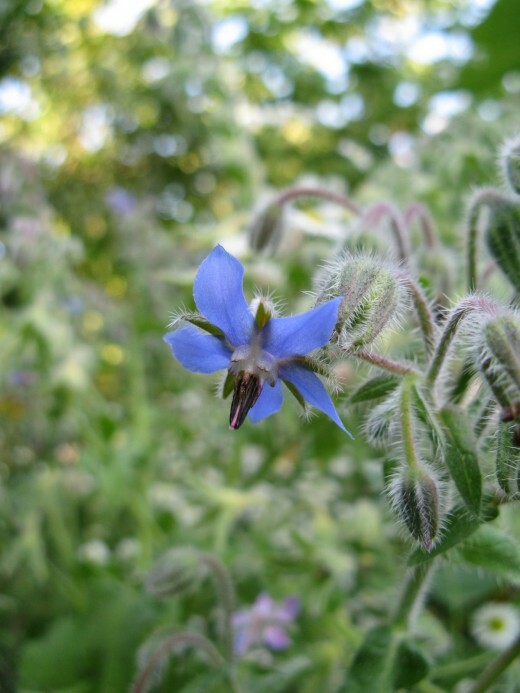 You don’t need to be a master gardener to grow your very own herbs from seed. 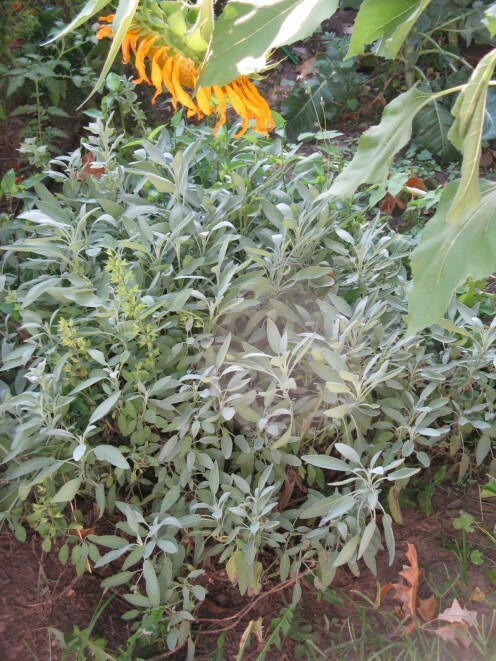 First decide which herbs you want to grow. 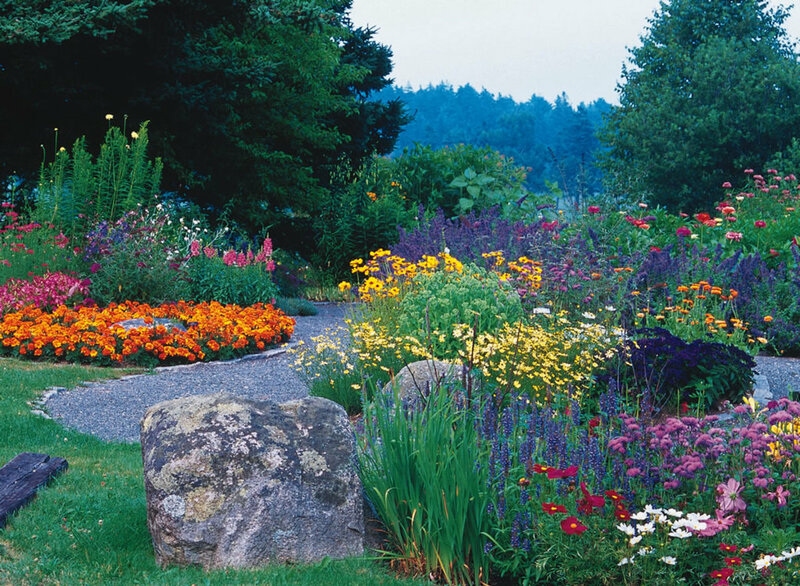 Seeds can be found in garden centers, seed catalogs and even in the store where you buy your groceries. 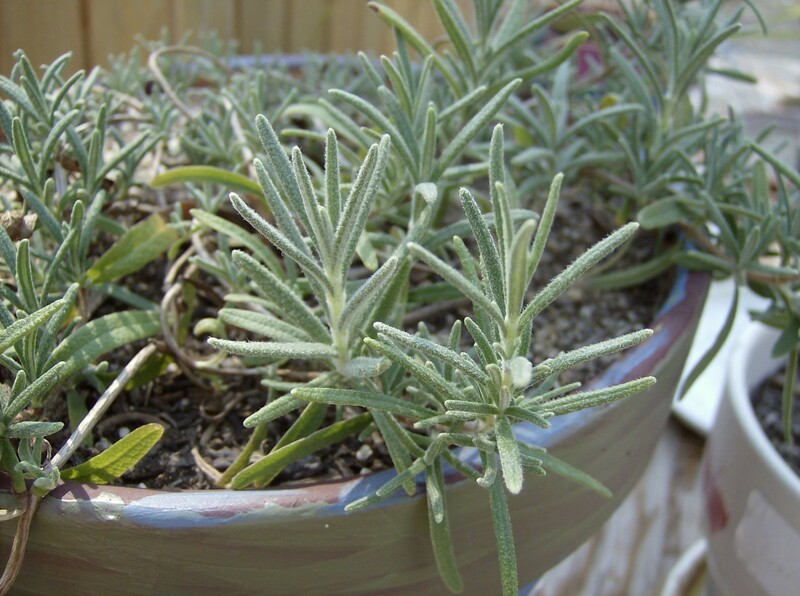 The easiest herbs to start are basils of any kind, thymes, sages, lavender, chamomile and rosemary. 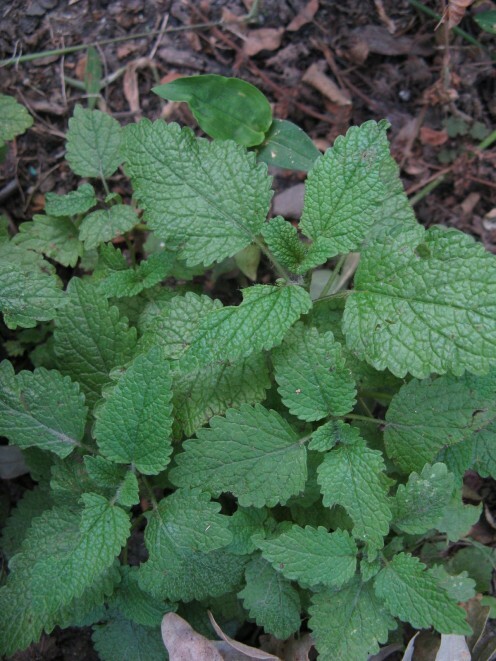 But don’t be afraid to try ones that are unfamiliar like borage, coriander and yarrow. Starting from seed is the same for all of them. A small clear box with attached lid. Nice as doesn't get lost. The proper amount light is important. 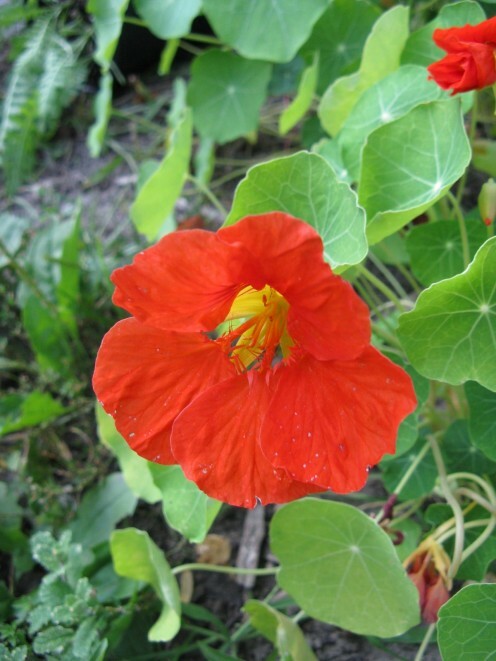 Without it, your seedlings will be spindly and weak. Choose a sunny window, the south and west sides of the house are best. If you plan on starting a lot of herbs, an inexpensive light stand can be built from wire shelving and shop lights. If you choose to use a light stand, set it up with a timer. 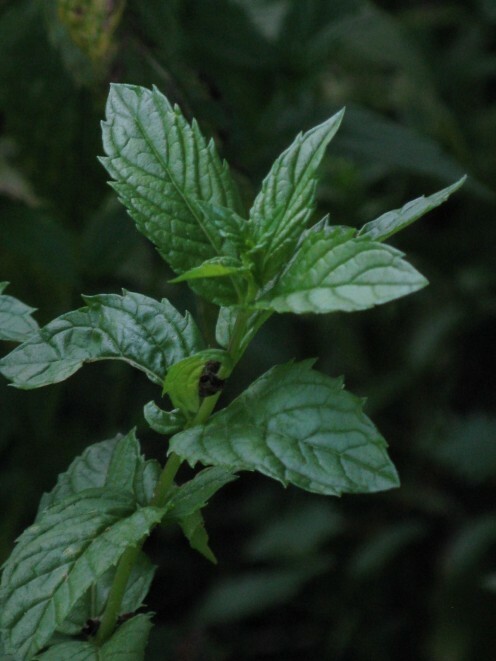 The herbs will need about 16 hrs of light for maximum growth. Seed starting sets can be found in garden centers, seed catalogs as well as some big box stores like Wal-Marts, Meijers, and K-marts. These trays come complete with a dome to seal in the moisture. The draw back of these systems is that they tend to be pricey and are not very durable. It is just as easy and less expensive to make your own. 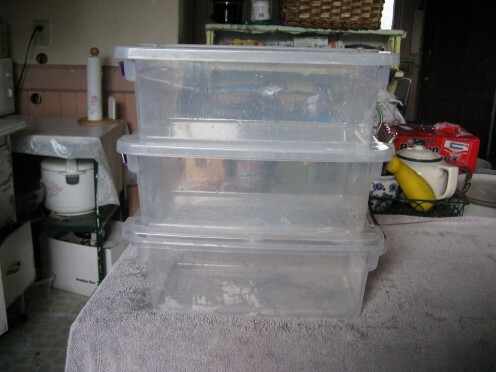 All you need are clear plastic storage boxes with clear lids, since herbs need light for germination.. The size that will comfortably hold a pair of dress pumps or running shoes is perfect. 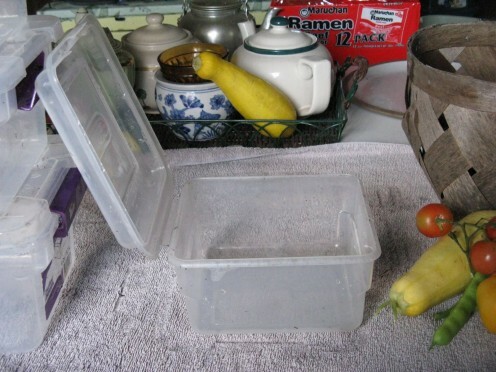 The plastic storage boxes have several advantages over professional seed starting systems. They are cheap, they are the perfect size for the kitchen counter top, they are extremely durable and work like a charm. 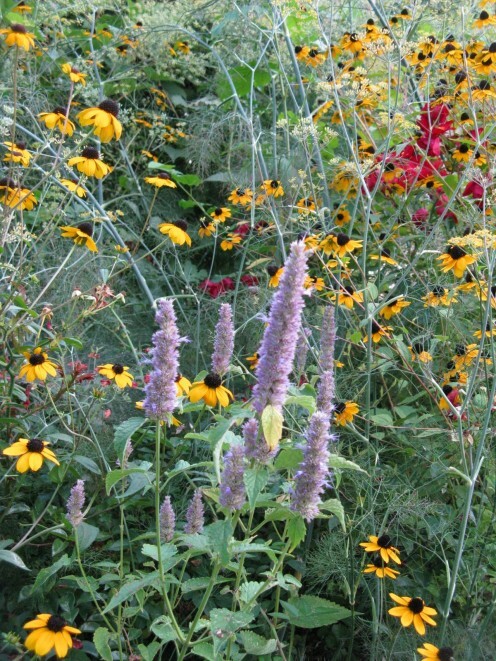 Once everything is in one place, light, containers, soil, seeds, and patience, it is time to get to work. Fill each seed box about 2/3rds full of seed starting mix. Add water and mix thoroughly. Seed starting mix and water don’t really like each other very much and are really hard to mix together. It helps to use a trowel, wooden spoon or your hands to make sure that the water and mix are well combined. The mix should be damp but not mushy. If it’s too wet, add more seed starting mix a little and a time. Mix again. Do this until you get the right consistency and damp all the way through. Now gently tamp down the seed mix to make sure that all the air pockets are gone. The seed box is ready to plant with the herbs you have chosen. Get all your seed packets together and carefully read the growing instructions on the back. Here is were you will find out how long it will take your seeds to germinate and whether they need to be under the soil or on top. 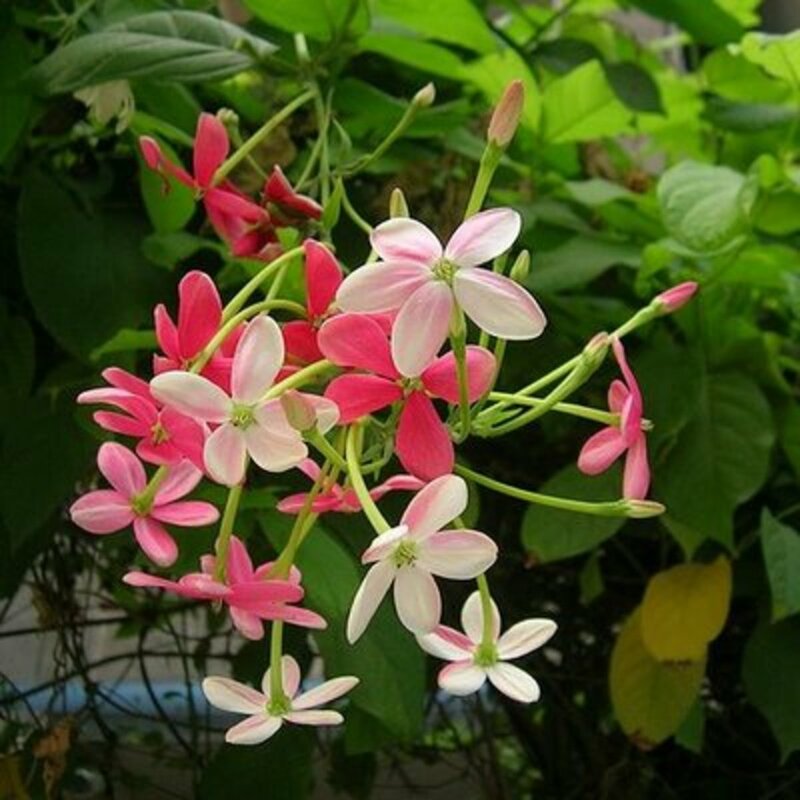 But before you open a single seed packet, wash and dry your hands. 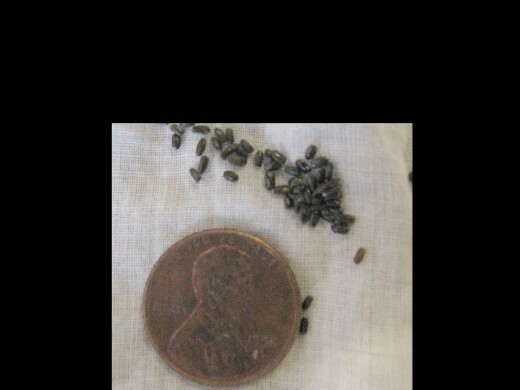 Most herb seeds are very very tiny and dark colored. Watching those tiny little seeds disappear into your damp dirty hands and then trying to get them from your hand into the seed box, its almost enough to make a grown gardener cry. Just sit back and watch them grow. The seed boxes provide a closed environment with the right humidity and warmth to encourage quick germination. 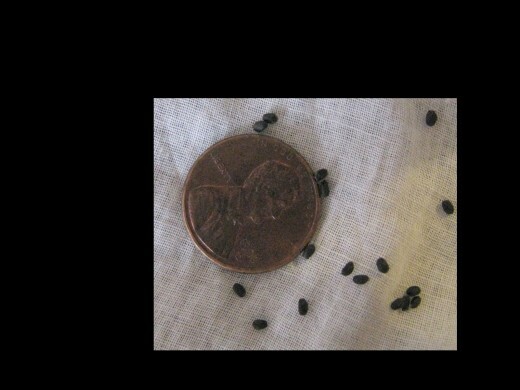 Keep an eye on your seeds; you will be surprised at how much faster they will pop up inside the boxes. 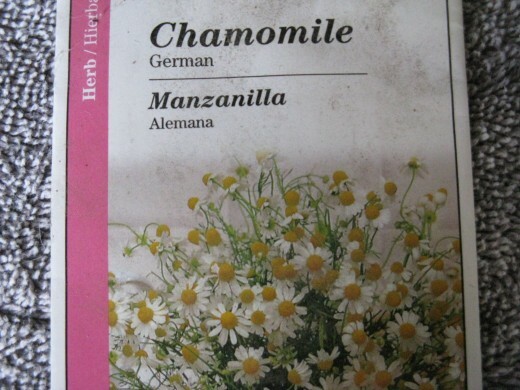 Make sure that the soil stays uniformly damp and to prevent “damping off”, caused by molds in a damp warm gardening environment, use a strong tea of chamomile or calendula. Use it instead of plain water. 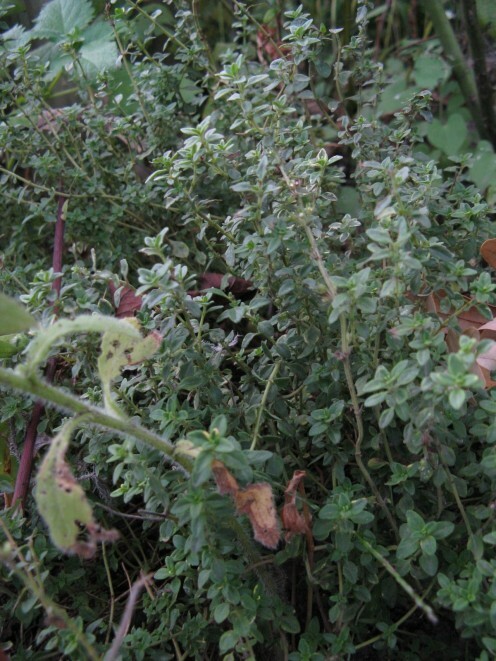 Both of these herbs have anti fungal properties that can help prevent losing your seedlings. Keep a close watch on your seedlings. 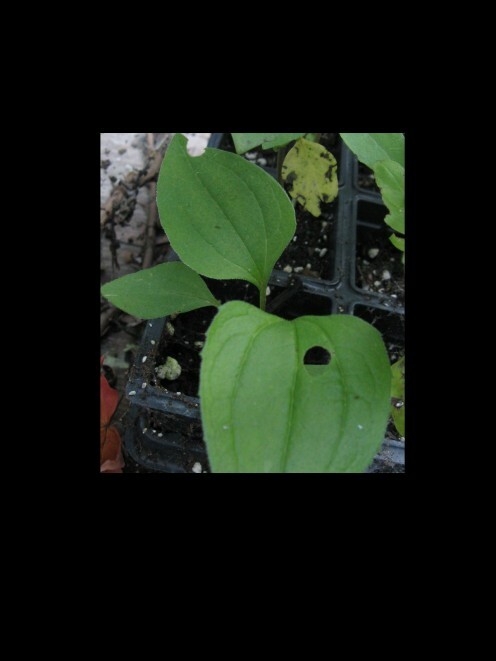 The first seeds are the leaves present in the seed embryo, it is the second set of leaves that emerge that you are looking for. 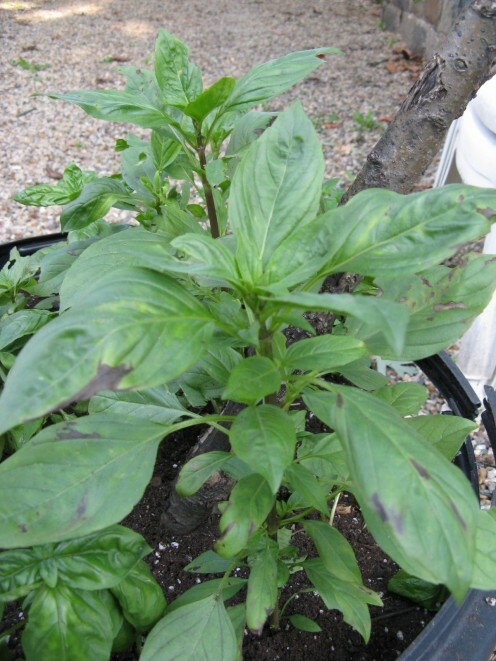 These are the “true leaves” and will look totally different from those that first poked through the potting mix. 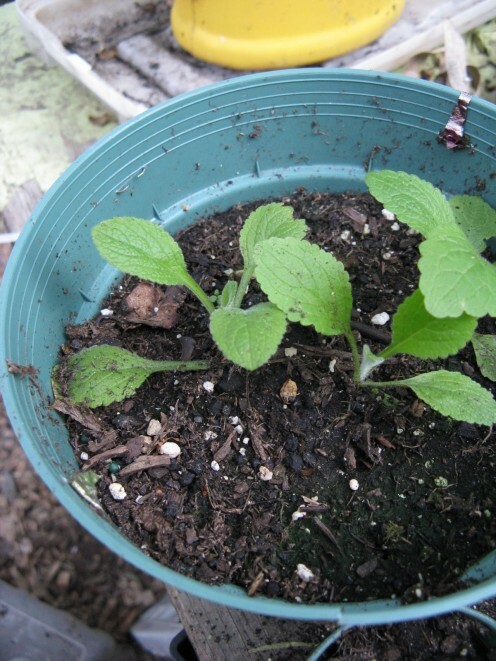 When these first true leaves appear, it is time to thin out your seedlings. 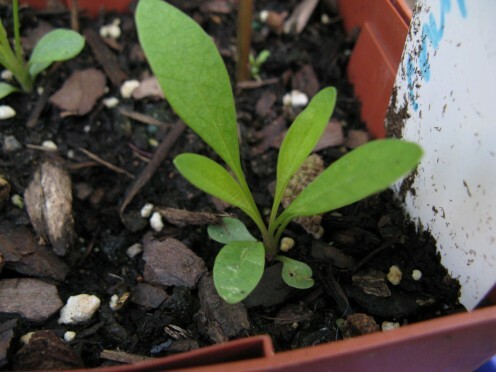 Pull out the smaller, weaker seedlings and leave room for the more vigorous seedlings to grow. Are they hidden in your basement or the garage? 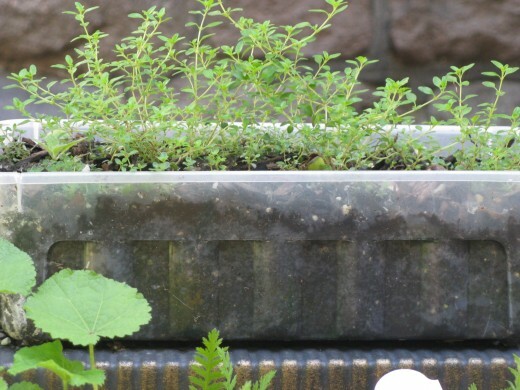 Once the seedlings reach the top of the seed box, it is time to move them into larger quarters. Any container will do, small flower pots, the black flats that annuals come in, square or round four inch pots. Being an avid gardener, there are probably tons of them in your garage or basement. If the pots are used, wash them with soap and water with a little chlorine bleach, then rinse well and air dry. As with the seed boxes, this keeps you from introducing any harmful molds or bacteria.. Once dry, fill them with potting soil and gently tamp down. 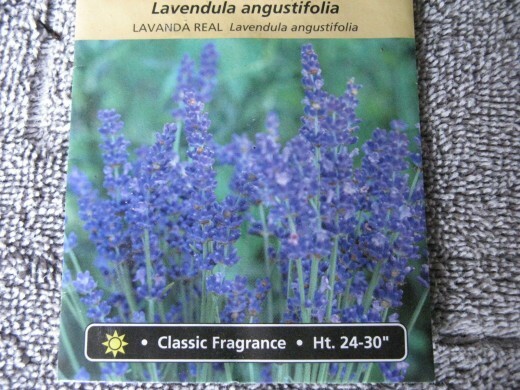 It is okay to use regular potting soil, just don’t buy the cheap stuff. Take your finger, an unsharpened pencil or a chop stick and poke a hole in the soil. Poke one hole in each section of a flat or 3-4 holes in a four inch pot. It is very important to be gentle with the seedlings. The idea is to remove them with their root system intact. A flat tooth pick, the sharp end of a pencil or a chop stick are well suited to this task. Using the tool of your choice, slip it gently under the seedling and gently lift it up. Gently using your tool, lower the seedling root first into the waiting hole. The hole should be wide and deep enough so the roots go as far into the soil as they can. Now gently firm the soil around the roots and a short way up the seedlings stem. 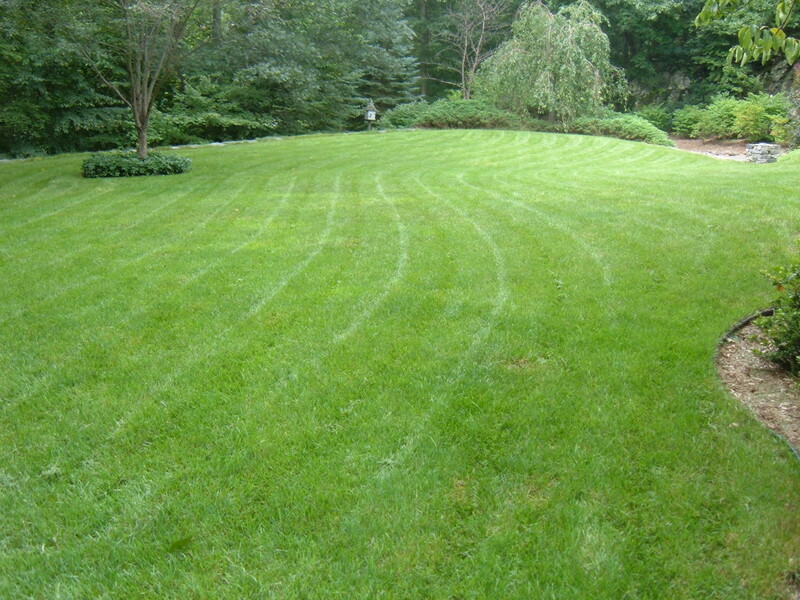 Put your plants back under the lights, keep them watered and wait for spring. Once the seedlings reach the top of the seed box, it is time to move them into larger quarters. 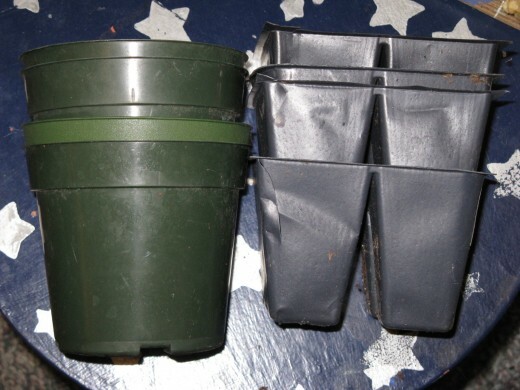 Any container will do, small flower pots, the black flats that annuals come in, square or round four inch pots. 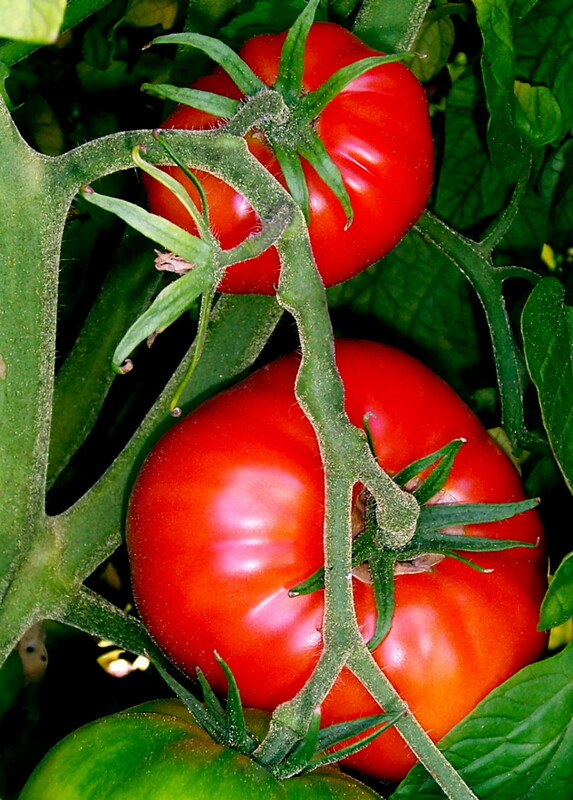 Being an avid gardner, there are probably tons of them in your garage or basement. If the pots are used, wash them with soap and water with a little chlorine bleach, then rinse well and air dry. As with the seed boxes, this keeps you from introducing any harmful molds or bacteria.. Once dry, fill them with potting soil and gently tamp down. 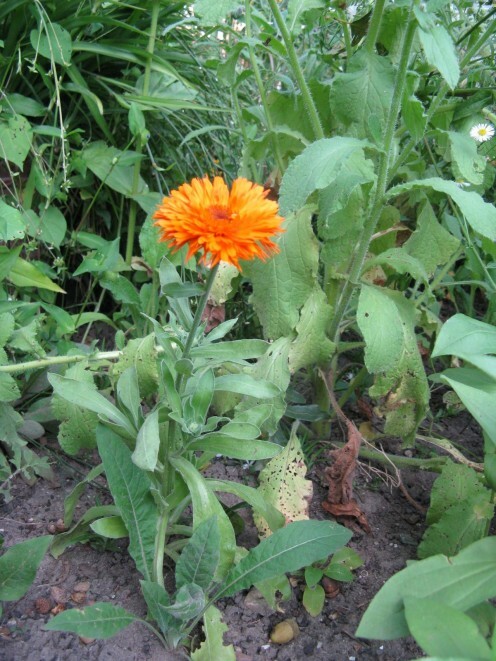 A Time Line of Western Herbalism Part II: The Middle East, the Link between East and West. Great how to! 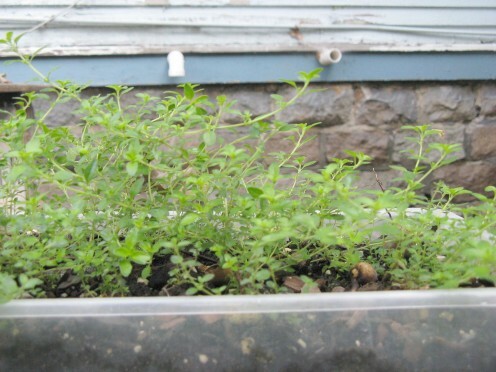 I've grown creeping thyme from seeds but now maybe I can branch out and try some other things. I am glad that you found this hub helpful. 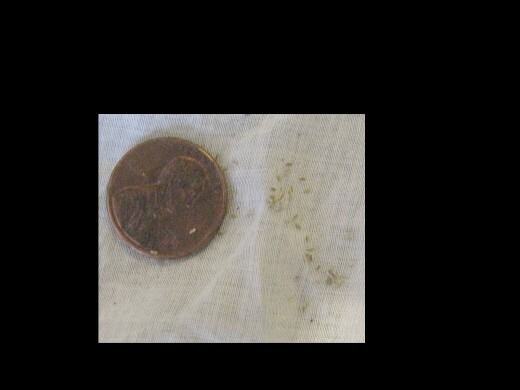 herbs seeds are so small and often take a long time to germinate. I have found the boxes a good way to keep up with them. Try keeping your basil in large flower pots. That is how I grow my basil. If I didn't the slugs make quick work of it.